Think Secret has a bunch of screen shots of the new Mac OS X due out Spring 2007. They plan to add parental controls, and they look very good, and easy to setup. Another reason for considering the Mac for the family room! You can restrict applications, of course, but also times when the kids can actually use the computer. See for yourself. MatwellWorld - Republicans Will Win! Seems that the Matwellworld blog is not alone in the idea that the Republicans will win the upcoming election. Major Republican leaders are becoming more confident, polls are showing strength going towards the Republicans, and the Liberal Media hounds are starting to call the so called "slam dunk election for Democrats", now a highly contested and very close race. I can recall in 2000 and 2004 when they said just this very thing. America can not afford to leave the War on Terror in Iraq, and most of America knows this. It is a just war, and simply hating Bush doesn't count enough to sell out the Iraqi people and our future. To the surprise of many, the St Louis Cardinals Won the World Series over the Detroit Tigers! They played very well, made both brilliant defensive moves, and their offense was timely. It was a pleasure to watch, and the St Louis Cardinals really deserve the Win. Congrats! For the Kids, check out the Kids Club for Games and info for the younger ball fans. Remember back when MTV played music videos? They also had something called Music News? Well this site offers Video News, and boy is it whacky! Worth a few laughs. Check out Rocketboom. Movie Event - Conversations With God! CONVERSATIONS WITH GOD opens in theaters this coming Friday, October 27, 2006. I recommend that you go see the film. More films like this should be released in theaters and the best way for us to tell filmmakers is to show up and buy a ticket! Together we can show the movie studios and the liberal media that we will turn out to see a movie about love and compassion, not the routine Hollywood formula of fear and violence. Went to see this movie, and to my utter surprise, it was fantastic! The Marine is a well written inspirational, and action packed flick. It gives a positive message, and quenches the action gene we may have for car chases and machine gun fire. John Cena, the WWE World Pro Wrestling Champ, has some great skills as an action actor, and parallels or betters Sylvester Stallone in just about any of his films. I highly recommend this one for a fun afternoon at the movies! I give it 4 1/2 of 5 stars! Get ready to practice carving some awesome Jack - O - Lanterns right here (in Flash)! Or try the Pumpkin Carving 101 site for Tips! Have a great Halloween, and don't eat too many treats, or you may have nightmares! I think whatever happens, vote with your heart and mind, not based on what you hear or read in the media! 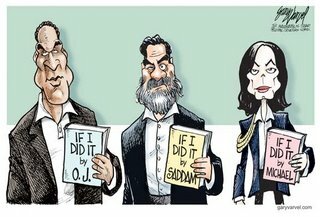 When it comes to Foley... Ever notice that Republicans resign when they do bonehead moves, and Dems deny everything to stay in office? This Flash Game animation was sent to me as a joke... Then I got to wondering, how many of us could complete it? The premise is that to get to the 4th grade, you need to place all 50 states in their respective positions in a minute or so. I played a few times, and was just not fast enough. My highest score so far was 45. I stay in the 3rd grade. I will keep playing until I get 50! Glad they didn't ask for the Capitol of each state! Teen Lands Job For $250,000 Playing Video Games! I can recall when my parents used to say, "You won't amount to anything by playing all those games (or watching TV). Well Tom Taylor has proven everyone wrong. He has landed a $250,000 job playing video games. Tom dropped out of high school a few months back to play games. He wanted to hone his skills, and BOY did he ever! If you see Tsquared, which is his handle/alias, congratulate him. I love the quote, "I guess some people are just born with talents in certain things," he says, "like Michael Jordan was born to play basketball. I feel like I was born to play video games." Amen Brother! The American league and National league playoff will be in full swing this week. No Yankees this year, seems they got steamrolled by the Tigers. Playoff action begins October 10th, for a complete schedule check out the MLB.com site. MojoPack, Portable Data Storage On The Go! Check out the Real Tech News link I just posted. This MojoPac looks like a very cool, and necessary utility to have. Price is right too, around $30.00. Create Your Own Seal! See Mine Attached! Here are a few links that are fun! Go make a seal for yourself or your website! I have been wanting to sell t-shirts, perhaps I could use this seal? What ya think? Want one? Let me know! Want to create a Warning Sign? How about an image of a 45 record (I hope you remember those). Can't visit every Wal-Mart across America, now you don't have to! Laura, Jim and their RV, Wally1, are rolling across America without spending a single cent on hotels. Like thousands of RVers do every year, they are spending their nights at Wal-Mart parking lots completely free. The best part is they’re keeping an online journal of their adventures. Check it out at walmartingacrossamerica.com. A recent new friend, as well as a new subscriber to Weblinksnewsletter has a very cool site out on the Net. The site is more than 50% politically driven, but the author drives right down the middle of the road on issues. John prefers truth rather then rhetoric, and the URL to Rhetoric Buster illustrates his passion. If you want to read up on some straight truth, regardless of what side you lean, this website is the one for you! He does a great job of presenting links that offer truth, rather than political agenda based drivel. Most of you know I am more Conservative, but on many major issues I fall in the middle as well. I just hate excuses. Well, there is no excuse to miss this site. Since Election season is upon us, it is a perfect start to begin thinking of who you want to have representing you in DC. Ubuntu Linux - Easy as PIE! Ready to jump off the Microsoft train? Go Linux for a free alternative. You could buy a Mac, but if you lack the funds or confidence in the platform, you can use your existing hardware that Windows runs on, and "test drive" Ubuntu Linux. The download is large and takes a while, but you get a boot-able CD that won't destroy your Windows until you are ready to. If you are like me and many others, you just can't wait until the day you rid yourself of Windows problems forever. 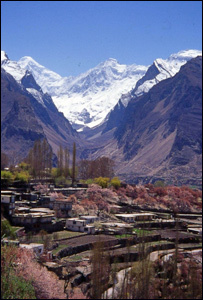 Global Warming Cause Some Glaciers to GROW! So you think you know that Global Warming is only harming, oh and that SUVs cause the damage most? I have been straight in the past that I feel that the Sun presents cycles of change to this planet, and that Global Warming is a necessary cycle the growth of the planet thrives under. One study even suggests that Global Warming is causing some Glaciers to Grow! That means that Global Warming is a natural force, and is a mere cycle of living, not man made destruction! I love to pass this kind of stuff on to you, my readers. When this kind of false propaganda is so easily placed in front of us, while mass media magnets claim they are doing their service, I cringe! Take a look at this well documented video footage illustrating how Reuters and AP routinely falsify images which are meant to steer public opinion. It is unbelievable! Weird Al Parody - Don't Download This Song! Weird Al is at his parody best once again! His promo website "Don't Download This Song" takes pot shots at the self appointed thought police who would throw kids in jail for collecting music in a private collection. Wal-Mart NOT the Bad Guys! Seems again in the good old People's Republic of Maryland, you don't have to have mass media on for long before Wal-Mart is attacked. If we take a closer look, we find that Wal-Mart is leading the Diversity Charge, and keeping prices at their lowest at the same time. I scratch my head at the positions that weak minded Liberals take against America's Success Story. Independent Illustrator and Artist Adam Benton created a look into a possible future for Apple iMacs. The images were posted to Real Tech news, and I must say, sign me up! I love it. I also wonder if it is possible today, even if very expensive. Observe Memorial Day, Some Gave All! Monday serves as a very important day, one of the most important Holidays this country has designated. It has been placed to honor those that gave everything for the freedom we enjoy today. Just imagine standing tall and placing your life on the line so that others may enjoy the luxuries we all share today. Would you do it? Many of us would not have the courage to. Yet a select number of Americans do it without a second thought. I am most proud of those who serve, and lay down their lives for this country. Check out the link I have included for Memorial Day! Honor those who gave all! Elephants Dream! Open Source Movie! This site is hosting the first full length feature film, that is FREE. It was created with Open Source FREE software, and is likewise treated as FREE material. Go watch it, burn to DVD and start the popcorn! It is BIG and the site is very busy, but worth checking back to get. 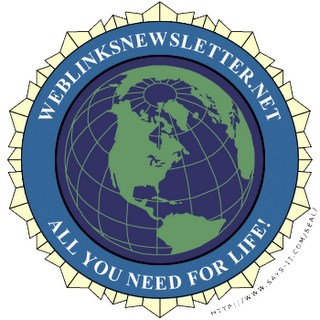 With a site and newsletter called Weblinksnewsletter, you must imagine that I like to bring to you weblinks of all kinds and types. Well rest assured, this link does that and then some. The latest Webby Awards (Yup awards given to the best web sites) have been announced, and some fantastic sites reside here indeed. Take a gander at the list of nominees and winners. Sure to be a hit at parties and hours of fun! Time to go get a Mac, so says Apple Computer. If you have not already seen the marketing blitz campaign, you will. The TV commercials where the guy in a suit, the PC, talks to the very cool and confident young person, the Mac, offers the Apple view of their customer base. Now, I like the commercials, but could this be part of the Apple problem? Macs appeal to the younger, hip generation, but when they grow up, they abandon Mac for the PC. I have an idea, offer a PC trade in coupon. For anyone who is willing to trade in their Pentium 4 or better, offer them $350 off the price of an iMac. That would get alot more attention then cute commercials. I am hoping to hold off until August to get the latest iMac. You really should consider one for your computing needs. Wow, take a look at this one. This is a Korean Android or plainly stated, robot. "The 15 monitors in the robotic face allow it to interpret the face of an interlocutor and look back at whoever stands near it. Ever-1 also recognizes 400 words and can hold a basic verbal exchange. " Get ready for a new battle of features, looks and leather? Thats right, Asus will be selling a Leather clad laptop beginning next month in the UK. I wonder if they have any plans for any other skins or colors for their laptops. I also wonder if this will make it to the US, where style has not always been a priority. But lets hope it does! From the Lockergnome Newsletter! Seems that in Hungary, they have banned Bio Diesel, which is made from cooking oil. Possibly because there are no state taxes involved padded in the price! Gabor Kovacs: In Hungary, we already have a law PROHIBITING biodiesel! Smart guys discovered about a year ago that common household corn oil (used for frying food) is as good as diesel oil - but costs about 10% less! This is because in diesel fuel, there are a lot of state taxes, higher VAT, etc. - while household cooking oil has a "normal" price. There is no difference, except only the smell (which is better than diesel). So, because the state lost a lot of revenue, a law was introduced prohibiting corn oil. The police started sniffing around diesel cars (literally). But, many people were interviewed at that time and 99% said that their car (any car) ran better on corn oil than diesel! Funny, isn't it? Instead of promoting it, the state prohibits biodiesel - otherwise they can't fill their pockets. The Rush Limbaugh show has available a site to help kids with Leukemia & Lymphoma, any amount will help! Chris Pirillo, 1st YouTube Movie, Hilarious! Chris from the Lockergnome site did a very funny video on You Tube. Impromptu and imaginative. Need a laugh? Check it out! Marines Rap CD from Iraq Front Lines! Walmart is selling (along with many other sites and locations) a music rap CD in which the Marines and Service Men and women are the artists. This product is being put together by the people protecting America in wartime. They want to make sure the real word gets out as to what is happening. As you might expect, it has no similarity to what the Liberal Media is saying. Go buy one at Walmart today to support the troops! Michelle Malkin Video Blog "The Vent"
Michelle Malkin has started a Video Blog called Hot Air. Michelle is a Conservative Journalist and Author, and one who has written some poignant views and honest commentary on just what is happening inside the DC beltway today. The Video Blog is well done and enjoyable, and I am sure will only get better with practice. Comedic slant highlights this Blog. Michelle says, "I began Hot Air in part to bring more balance to the videoblogging world. But also because it's the next logical step in the information revolution." Her Regular Blog is excellent too. This is very interesting, this person takes you for a tour of the Mac Lab over at Microsoft. Seems they don't do anything in a small way. The images illustrate that they are serious on supporting and working with Macs, as well as the sheer scale of the thing. Must be the GEEK in me, but I love Computer Labs like this! I used to work in one years ago, and loved it. This is a dream! Mac 101: Your guide to using a Mac effectively and efficiently. Very nice site from Apple! It basically goes through the various things a new Mac owner needs to know, or a prospective Mac owner. Even if you have been a Mac owner for some time, I think the information here may be of value to everyone. According to this scientist, Global Warming Ended in 1998 (based on actual measurements). This UK article outlines details as to why this is true, and why many have decided to ignore the facts! Where Does Your State Rank In Taxes? Take a look at the list, and see where your state ranks! I noted that the large and most "better off: states take alot of taxes from the contributing members. Check out the List! "Run Windows XP On Your Mac" says Apple? With all the PRESS about those hackers attempting to run Windows XP on their Macs, it was a huge surprise for me to hear this news! Apple has released and will officially endorse running Windows XP on the Mac. I am not surprised that Apple allows this, but was shocked to see that they actually endorse and are aiding in this endeavor. Apple does it again with a brilliant campaign to extend the Mac into more homes with the promise of Dual Boot between OS X (which is already a fine OS) and Windows XP (which is the Industry Standard OS). Time to get an Intel iMac! Robert has a very interesting article online. He believes that the last Anti-Trust Lawsuit member, from Iowa, will take a huge chunk out of Microsoft. "What do you do when your wealth is immense but completely tied to people whom you inherently do not trust? If you are Paul Allen you watch your tongue and spend eight years getting out from under that burden." He thinks Paul has done the right thing, by diversifying his portfolio. This could save Paul from financial ruin when Microsoft faces this final anti-trust suit. This could be very interesting! Fox has confirmed to the BBC that they are working on a Movie version of the Very Popular Simpsons TV Show. 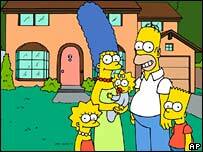 To be released July 2007, the Simpsons is in its 17th season, the longest running prime time entertainment series! Apparently Isaac Hayes bailed from South Park, and they did a tribute show (so to speak). It was very funny, and NOW I know why it even happened. Read more! Gang, I just posted what I think is a nice short analytical piece on Bill Gates' opinion of the MIT One Laptop per Child Project. Take a look at the actual posting on Real Tech News to learn more about the Project itself, as well as the coverage I attempted to provide. Let me know what you think. Windows XP on Mac Patch/Kit Available! This may be the single most compelling reason to purchase an Intel iMac, TODAY! Here is the patch/bootloader that will allow you to load and run Windows XP on that iMac. Grab the files as soon as you can before the thought police threaten legal action. To run 2 different operating systems on the same elegant iMac seems a very likable prospect in my mind. See more info at the original site, OnMac.net. Folks, as you know I finished my review of the iMac from a PC Perspective. As I mentioned inside the review, I was accustomed to playing my DVDs on the iMac while I was working (sometimes) on the PC. It was a while since I did the DVD test on the PC compared to the iMac. Guess what! I placed one of the same DVDs I was watching into the PC and figured I would watch the DVD and work on the iMac. Well, BBBZZZT, wrong answer! The DVD while playing normal size, NOT FULL SCREEN, looked like garbage on the PC. The simple quality of the iMac DVD software display was astounding. I apparently had not done as fair a comparison as I first thought. I still stand by my original review, but as far as playing multimedia goes, the iMac blows the PC away, hands down. This should be taken into consideration when evaluating the iMac for your home or business. Ok here it is, my final review of the iMac G5 and Mac OS X. To see the first 4 parts you can click the links below! This 5-part review sure has been an adventure. Right up front I want to provide a hearty thanks to those who offered encouragement, feedback, and praise. You all seemed very interested in what I had tried to write about. It has been a true learning experience for me, and has helped me understand a lot more about computing interfaces, especially non-windows and other windowing operating systems in general. In this, the final part of my review, I want to provide some final feedback, wrap up my personal experiences, and give you my recommendation. That sure is a lot to do, so lets get started! The Intel iMac Core Duo has essentially made the iMac G5 obsolete. Not in the sense that it does not or will not work, but more so in the sense that Apple has set a future course towards Intel computer ships. Older G5 hardware will be obsolete in perhaps 6-12 months. Those interested in the Mac will have to consider getting the Intel version before attempting to purchase any G5. This is a good strategy, if you plan to purchase an iMac today; the Intel version is the clear way to go. This is the future. But should you? More to come on that shortly! Lets look at all the negatives surrounding using the iMac and Mac OS X. Yes, Mac faithful, there are a few drawbacks. · I saw no easy way to back off of updates installed by Apple. Microsoft Windows has the Add/Remove software option in the Control Panel. Apple needs something, even some basic scripts via menu, to uninstall software for non-technical users. · There is little to no commercial software available in the retail chain. I mean that you cannot walk into WalMart and purchase a software package or game for the Mac. · The goofy one button mouse is stone ages behind the 2 or 3 button mouse. It has to go to eBay and you will need to purchase a real mouse. · iTunes (and iPhoto) uses a proprietary database for cataloging your stuff. I really see no need for this. I would prefer a more open architecture for file management of your private materials. iTunes is a widely used application, but only because it is the only package to use with the iPod, not because it is the very best software. · Not all of the settings are easily found and set in Finder. You have to manually modify the scripts or use a 3rd party tool for advanced features and settings. I know that Windows is the same with many of its hidden features. I have yet to figure this one out, unless they are leaving an opening for 3rd party developers. Oh and thank goodness for them! · Heat! Heat! Heat! My iMac G5 gets hot. No wonder Apple has switched to Intel. I hope the new iMac has addressed this problem. The G5 has plenty of fans; they are just always set on low speed. Just not enough air flow! How hot is it, roughly 165F under constant load. · .Mac is one of those extras that is disguised as an option, buy the entire OS is built with the assumption you will sign up and use .Mac. There should be a way to replace .Mac with your own personal webspace or site! · Keyboard shortcuts are not shown on screen, in the menu. I admit the funky combinations are powerful, but for a newbie, I have to have a list of them plastered to my wall. Just put them in the menu! · Thanks to Microsoft, flip4mac has given us libraries to open and save Windows Media files and formats to MOV. Apple should have supplied this one, perhaps in a conversion tool, but since M$ has deep pockets; all the Windows profits have gone to something worthwhile. Even if it is clunky. · The iMac monitor base cannot be raised, only tilted. Why? Every other monitor manufacturer gives this ability. I can only imagine that since the iMac is so heavy, Apple felt that the neck and computer would not stay extended over a long period of time due to vibrations. Hence only a tilt neck is included. Apple is the innovator, get real, and fix this one. · USB ports on the back? What gives? I have a few USB devices, and would like at least one on the side or somewhere we can reach it more easily. I have to admit one on the front would look like crap. I can give Apple some credit here for looks over function. · iMac doesn’t come in a Cinema display? 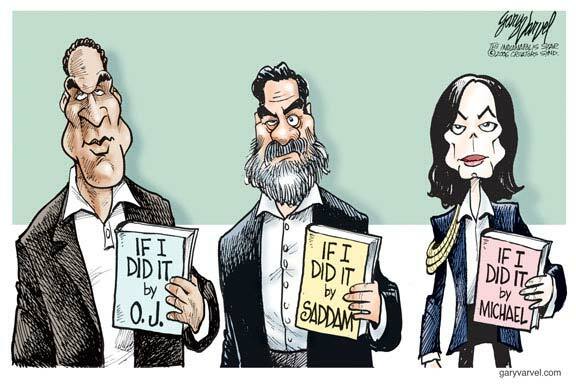 It should. I want a monster monitor with no cables like the iMac! There would only be demand for it if it were fast and top of the line hardware, like iMac. · In Mac OS X you simply cannot change the size of the little close button icons or maximize/minimize button icons. You must be able to allow users to adjust sizes of these things. When you go hi-res these things are TINY! It takes me 3 clicks to hit it, and I am pretty accurate with the mouse clicks. I never have this trouble on Windows! Windows allows adjustments of visual queues and button sizes. · The Dock on OS X is not as usable as the Taskbar on Windows. Don’t get me wrong; I think its appearance blows Taskbar away. I just like the way all open programs show up on Taskbar. Not many people like this as much as me, but I want to see all the programs I am running grouped together. The Dock shows little arrows on running apps, but that’s lame for an OS proud of its graphics capabilities. If the App is not minimized, it won’t show up on the Dock, too. · Multiple desktops are a feature on just about all the Major UNIX operating systems. Apple dropped the ball here. 3rd party to the rescue! Unix gurus want multiple desktop utilities. · The Mouse cursor can be resized, but the jaggies show up like Paul Bunyan’s favorite tree destroying saw. Again, for a supposed graphical OS, it should be a smooth transition if you resize the arrow. In Windows, no such problems! Matter of fact you can change the cursor all together! Nope, not on Mac OS X. Third party utilities provide this, but why should they need to? · I was able to drop an audio sound into the default folder for my default sounds, but what about startup music or shutdown music. Windows does it, now! Not Mac OS X. The option should be there for user fun and configuration. · Apple includes only lame OpenGL screensavers. Give us more eye candy! At least 3rd party developers have many out there for free, but you have to search. · Installing software is not standardized. Sure most of the time you can simply drop into the apps folder, but some apps have an install script, others don’t. Why make the user drop the software into the Applications folder, allow them to right click on the app they want to install, and have the system copy it. I bet this could be done in Automator or through Apple Script. But make our lives easier; include the script on the file context menu. · No Audio Input port, only Audio Output. This is supposed to be a users multimedia system, but no input for sound? Wack! · No Newsreader is included. What? That is a deep hole that needs to be filled. A basic newsreader is very important to my online experience. · If you like to label CDs, I suggest that you don’t use them in the iMac CD/DVD drive. They could get stuck. Since the unit is hot anyway, the label could spin right off the disc. · OS X is built specifically to run on Apple hardware, so it is more stable. But not perfect. During a reboot that some virus scanner software recommended, the system hung up hard, and the fans whirred full speed. I had to power it off to get it back! · Oh and the hardware is one solid main board, not much to upgrade inside, except memory or hard drive. Don’t expect to buy any add on cards or internal capture devices, no such thing! This could be a good thing, easier for users to manage, but your iMac system could become obsolete faster than a normal desktop, which can grow with your needs. · My Creative Web cam wouldn’t recognize when I plugged it in. Why? It is no wonder that the iSight is now included in the iMac. One less issue to deal with! · Unix file permissions and ownerships get screwed up every time you install software. Why? This sure seems like a major bug to me. You have to run the permissions correction tool periodically. · Mac Icons are not easy to change, and your main foundation icons cannot be changed. On windows you can change almost any icon anywhere. · Mac software, which can be found, is expensive! No wonder people prefer Windows. You may not get world-renowned software, but who cares for a few dollars we could toss it in the trash if we don’t like it. Most Apple applications hover around $100 but some are much more. Well I wanted to be absolutely honest on my criticisms on the iMac and Apple OS X. I didn’t hold back, and really feel that these issues are mostly things that can be addressed easily. Actually, I see no reason keeping Apple from doing all of them cheaply. We know I can be a critic, what about the items that I really like about the iMac and OS X? · Great sounding speakers! The size alone would make you think they would be only good enough for whisper music. In fact the speakers are great for standard speech and audio. I love the fact I don’t need to purchase extra speakers or hardware. Plus the fact that they are built right in. · Talk about Hardware, the iMac is gorgeous! Flat, streamlined, simple, aesthetically pleasing, well designed, compact…. On and on! The iMac is simply the best looking and best designed computer, and that before you even turn it on! · I found that the iMac was a great system for viewing DVDs. I simply love the DVD player software in my iMac. This iMac looks like a TV, and plays DVDs with magical quality. I could be at my desk working on a project, reading mail, or doing paperwork, and view DVDs easily, they sound good, and the screen is sharp and clear. A bit costly for a simple DVD player, but at least it does other things too. · The iMac boots very quickly! Blows Windows away, not even close. If I were to compare equal plain vanilla systems, I think it would be a little closer, but still no contest! I even reloaded my PC do be more fair, the iMac still seems much faster at bootup. · Even though the USB and Firewire ports are on the back, they are all lined up together, in a row, very uniform. On any given PC the jacks and connectors are all over the back of the system, and never next to each other. · Mac OS X is Unix, and not just any Unix, but BSD. This means it is rugged and built to run. If you like Linux, you should love Mac OS X. · Since OS X is Unix, there are many ports or conversions of Linux software now being ported to OS X. This equates to a lot of free online software, which happens to be very useful. · The slot load CD/DVD player and burner is kool. No tray, nothing to worry about, CD simply slips into the side of the iMac cabinet. It is easy to use, and clean looking. · I cannot say enough about the keyboard. I truly appreciate the sound controls on the keyboard, volume, mute, and eject key for CD drive. Very user friendly once I discovered them. No such thing exists on the PC, except in aftermarket keyboards that add extra expense. I guess in the long run; since the PC is cheaper, these may break even with each other, but the iMac includes them, score one to Apple. · I upgraded the memory from 512Meg to 1024Meg (1 Gig). This process was simple, easy to do, only 3 screws to unscrew. They never popped out, they stay attached to the unit so they don’t get lost. Pop the memory into the slot, click the ends onto the memory and close up the cabinet. Easy upgrade! · I was pleasantly surprised to find much freeware and shareware software on the Internet. Even though you cannot find commercial software in the stores, there is plenty of it online, tucked away at your favorite Mac sites. · Mac OS X was simple to update via the Apple assistant. Took one click to allow my Mac to check for updates. They appeared, and you hit ok. The updates all install, then your computer asks to reboot. In the Windows world you have to reboot on some of the patches right away, one at a time, then check for updates again, what a PC time waster! XP has come a long way to helping correct this, but it is behind the iMac on this one. · I hooked up my PC printer and it just worked, the driver was already in there. No fancy features like on the PC but at least it works. Windows has been pretty good at hardware detection over the last many years too though. · I like the Finder program manager / file manager. It is simple to use, and fully object oriented. That means you can drag files to applications, or drag files to printers. · I currently have my iMac tell me the time every hour. My Mac speaks! I like this feature. I can also have the Mac say anything from a file I want. This feature can also help you navigate the OS if you have sight troubles. · Mac Icons are very colorful, sharp and attractive! They are sharp even if you grow them to the largest size, as big as a Quarter. · OS X comes with a wide array of applications, utilities, and programs. If you didn’t want to purchase anything else, you don’t have to. · Searchlight is fantastic! Type in a word, and the system will search the whole darn system for references to that word. Bookmarks, files, folders, mail messages, music, photos. Everything! · It is easy to drop an application to the Dock for future use, and even easier to remove one. Drag file to or off the Dock, that’s it! · The iMac comes with Bluetooth and Airport wireless built in! I use Bluetooth for the keyboard. I know many cell phones today have Bluetooth. Not to mention PDAs. That’s a fine standard feature, one Apple has been wise to include. · An Ethernet 10/100 jacks in included for wired networking. This I prefer for privacy! · The widgets are nice little utilities. I prefer Konfabulator, but the built in Widget engine is kool too. · The Background Image on the desktop has more options. You can tile and stretch, but they are oriented from the center, not from the top left corner of the screen. This is much more advanced and intelligently designed. You don’t have to hit the OK button, like discontinued IBM OS/2, the change just happens. · Smooth! This one is rather hard to express, but the Mac and OS X seems to run smoothly and present an aesthetically pleasing experience. The actions on the OS are not choppy. When you open windows they quickly fade in or animate from the Dock. Windows has this feature, but it seems like a resource hog on the traditional PC. · I prefer the 2-button mouse, and as dirty as it seems, I took a Microsoft Mouse, plugged it in, and it worked great. Any 2-button mouse would work, but I got the same one that my PC had. It is USB, and never skips or hops, it just runs reliably. I can say on Windows 2000 there was an issue where the mouse would abort and you had no pointer. Never saw that on Windows XP. · There is game support on Mac OS X. Quake 3 comes to mind. I have found enough games for my tastes. I prefer small quick 1st person shooter games. I have several Flash files that are games, like PacMan and Asteroids, Tetris, and even Batman. The current Flash player is available for Mac OS X, a huge plus. · Safari is feature rich, and solid. It has never choked on a web page, which I visited. Safari just runs well. Tabbed browsing has grown on me too, since you cannot see all your separate Safari web page windows running in the Dock. There is a hidden setting you can use, I think, to show all jobs running, but that would get cluttered. Apple took the correct approach here. · Even though the front of the iMac looks funny, the screen is on the top third. I like the space for sticky notes below the screen. This is a great place for reminders and notes to myself. I don’t use the software sticky notes application, which is included. With space for real notes, it is easier for me. Well, as you can see I have found much good, and bad about my experiences. Seems to me that the iMac is not perfect. Matter of fact, I see much room for enhancements or changes. The hardware is a winner, many of my problems surrounded the software interface. As a PC guy, I would love to see Windows XP run on an iMac. I like Windows XP, it is the first really reliable OS that Microsoft has given us. However, I like the iMac overall too! For this review, since day one, I have had the iMac sitting next to my PC. I admit, the PC is more centered, and the iMac is just to the right. I have attempted to use the iMac for much more than just browsing the Web, but it is best suited for browsing, E-Mail, and general Internet related usage. Strangely enough, no newsreader was included. Some modern browsers include newsreader function. Apple needs to include a newsreader. I have found that the iMac and Mac OS X in general can do all of the things that the Windows XP counterpart can. Matter of fact, there are utilities for almost anything out there you wish to do. I do have some very specific programs and utilities on the PC that I wish I had on the iMac. I am sure they will eventually come, or perhaps I will come across a similar application or script. But no major show stoppers. Finally, here comes the major zinger of whether I recommend the iMac and OS X, or not. 1. Yes I do. I fully recommend the iMac for your Internet and computing needs. I felt that if my PC crashed and went south, I could use and enjoy the iMac for my computing needs. 2. Now how about the question, “Would I Switch from the PC to Mac, and never look back?” No. I would not. For some things I still prefer the PC. I prefer my music on the PC, in MP3 format. MP3 format is more widely used and supported. But the iMac is a great companion to the PC network, it easily integrates, and can serve as a second system, web server, or just to get various things accomplished while you wait on your PC to do other things. But be careful of .Mac. Be wary of what you purchase on extended agreements or subscription services. Keep in mind that anything on someone else’s server can be searched through or copied. Your privacy is at risk. 3. If I had to choose right now and select only one platform to use, I would have to stay with the PC. I know so much more about the PC and the underlying file structures. Previous versions of PC software count, but in todays connected world you can find any application you need on the Net for cheap or commercial fee. Software is just no longer a factor. 4. If you are new to computing, or don’t know a heck of a lot about the PC in general, or the inner workings, I feel that you would be a better candidate to switch to the iMac. It is a fantastic platform for computing, Internet, and content creation (like video and DVDs). It does it all very well, and builds high quality output. The PC does it all, but is sometimes slow, sloppy (poor output) and prone to lock ups. Go out and purchase an iMac. I think you will really enjoy the experience as I have done. Whether you need or like the iMac will be based on many personal factors, and preferences. I just don’t see a clear-cut argument for or against either platform. I don’t mind seeing competition though, and Microsoft needs more of it. But Apple would score more adopters as an open platform, which seems important to more people today, if they would create software that doesn’t hook you into their formats and ways of doing things. Make software that is well integrated, but open! This is probably why Linux is gaining so much ground on the desktop, at work and at home. Thanks for reading, good luck in your review!